Excitement abounds for Fundly’s philanthropic crowdfunding. 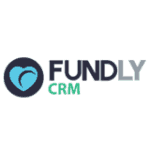 Fundly, the donation-based crowdfunding platform that empowers people, groups and organizations to raise funds for near and dear campaigns, concurrently hosts thousands of active campaigns daily. With over 100,000 campaigns created in the last year, Fundly allows users to create campaigns and leverage social tools to collect donations and supporters by more effectively engaging with their social networks. Fundly recently released a free iOS mobile app available on iTunes the that makes it even easier for fundraisers to manage and run their fundraising campaign straight from their mobile device. Founded by Dave Boyce, the CEO of ZenPrints and current Fundly Chairman of the Board, Fundly recently went through a re-branding campaign positioning their site as “Crowdfunding For All.” A new map feature enables visitors to view geographically-based campaigns. 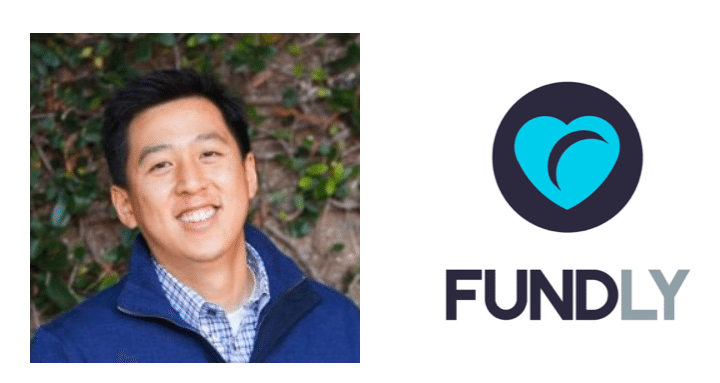 Fundly CEO Dennis Hu has led the company since last December. your trajectory in the company. Have you ever initiated your own campaign? Dennis Hu: Thank you! Crowdfunding is really a natural fit for philanthropic causes, since it lets people leverage their passion for causes they care about to raise money supporting them. Philanthropy can be so much more than just what people know it as today and I believe crowdfunding will continue to create disruption within the industry. While nonprofits are currently the primary beneficiaries of crowdfunding, we’re starting to see more and more individuals become active in raising money for individuals in need. 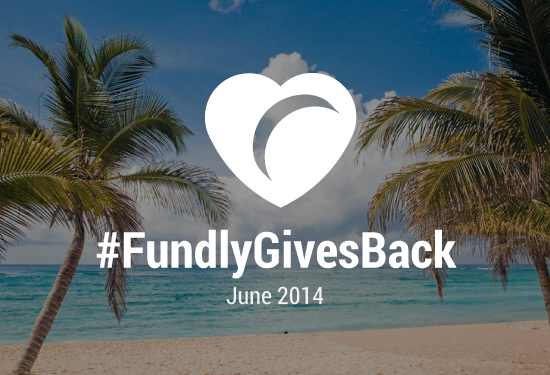 Fundly was originally founded in 2009 with a primary focus on nonprofits, but we’ve evolved along with our community to expand that crowdfunding focus. We believe anyone should be able to easily raise money for the things they care about – whether that’s a nonprofit, local school or even their own wedding. Since I took over as CEO last June and we began to engage people outside the nonprofit community, we’ve seen our business triple in size. It’s always an uphill battle for any brand to reach new audiences, but it’s so gratifying for our team to see the incredible new campaigns our community is creating daily. 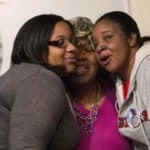 Everyone on our team has done their own campaigns as well; I recently raised money for the Alzheimer Association in honor of my close friend’s father who is battling the disease. 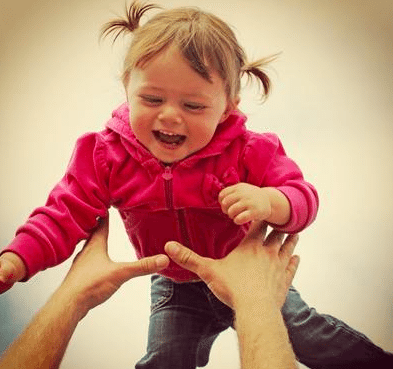 Crowdfund Insider: To date, more than $331 million has been raised for the social good on Fundly. Which campaigns have been most successful? Which the most memorable? Why? Dennis Hu: The campaigns we see resonate the most and generate the greatest success are those with impactful stories – causes and people you’re compelled to support. There are three critical success factors in crowdfunding, which we refer to as the 3T’s: Trust, Transparency and Ties. We encourage all of our campaign owners to share their detailed stories and take advantage of both ties within their personal networks and within the Fundly community. Our most successful campaigns in general have a broad tie that people can relate to because they’ve had friends or family in similar situations and can relate first-hand to the challenges. One campaign that was particularly memorable for me personally was “Savannah’s Stolen Moment”— Larry’s two-and-a-half-year-old daughter passed away unexpectedly and our community as a whole was incredibly moved by his desire to create something positive in the wake of that tragedy by raising money to give a special moment to another little girl and her family. His fundraising goal was $10,000 but he’s currently raised nearly $95,000 – it’s a great example of someone’s story really touching on those 3T’s and resonating with people in a powerful way. Crowdfund Insider: According to the website, Fundly enjoys the support of premiere Silicon Valley and NYC investors Morgenthaler, Great Oaks, Kapor Capital, Accelerator Venture and Seraph Group. Please share an anecdote or two about securing these top investors. Dennis Hu: We’re very fortunate to have some terrific investors behind us. The beauty of Fundly is that anyone can use it to make a difference, which is a pretty powerful story to tell to potential investors. When you have investors who understand and believe in what you do and can see themselves using your site to raise money, it’s a win/win scenario. We’re lucky to have such great partners invested in helping us expand our vision for Fundly and bring it to more people in more communities. 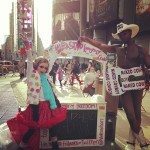 Crowdfund Insider: What are your thoughts on the next two or three years for philanthropic crowdfunding campaigns? How will Fundly further expand? Where do you see Fundly in five years? ten years? Do you foresee that all charitable giving eventually be done online? Dennis Hu: I think the philanthropic space will continue to evolve and change dramatically over the next two or three years – in large part because more and more millennials will be reaching ages where they can start to financially make an impact on causes and communities. Direct charitable giving will always have some component of offline that will remain, since what people fundraise will always have a very direct personal emotion behind it, but I believe that we will see small and online donors make up a much bigger piece of the pie in the future. A major part of Fundly’s ability to expand is educating the market on the benefits of moving toward an online fundraising model, so that’s a key focus for us. Beyond U.S. market expansion, we’re focused on continuing to diversify the Fundly community and begin reaching international markets. 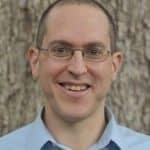 Crowdfund Insider: What have you personally learned from nonprofits and self-service users that has helped Fundly shape its platform? Where do you see growth for local, national and international campaigns? Dennis Hu: Everyone wants a platform that is beautiful and simple to use – that’s been overwhelming clear in our experience with our users. We want to be the best platform for people and organizations to raise money for the things they care about. The amount of campaign communication and promotion we automate for our campaign owners through Facebook is a prime example of this – we’ve built a deep feature set around this because we know the average person isn’t a born marketer but their campaigns need visibility to thrive. We understand that most people in this world have very little experience raising money and we continue to add features to make Fundly function as a partner who helps you become the best fundraiser possible. I think the biggest opportunity for growth is actually in smaller campaigns led by individuals – helping the average person understand they have the ability make a difference in their own or someone else’s life. Crowdfund Insider: Who do you see as Fundly’s biggest competition? What sets Fundly apart from these other platforms? Dennis Hu: There is a natural tendency to try and compare us to Kickstarter and Indiegogo since they’ve built strong brands in the crowdfunding space, but we serve vastly different audiences – they crowdfund for projects and we crowdfund for people. If you look at what Kickstarter has done for helping people get projects, companies and products off the ground – it’s been hugely impactful. We’re focused on having that same impact, but on people’s lives – it’s that personal element that makes us unique. Working with diverse types of people also means our platform has very different tools and functionality – our community isn’t made up of marketers and business owners, it’s average people who want to make a difference. Given that, our focus is on building out our toolset to become a true partner to our campaign owners so they can lead successful fundraising campaigns. Crowdfund Insider: Could you speak to the “gamification” of fundraising and tapping into the natural competitiveness of fundraising? Dennis Hu: People are naturally competitive, and tapping into that nature can have a huge impact on a crowdfunding campaign’s success. Making your friends aware of what other mutual friends are donating to your campaign, for example, can create competitive pressure for those potential donors. We’ve spent a great deal of time building tools that make it easy for our campaign owners to push the right content to the right places to maximize that competitive spirit. Every campaign shows Team, Personal Fundraisers and Top Donors to all users, and we complement that with additional tools for campaign owners to push this content to their network and supporters. Crowdfund Insider: Habitat for Humanity and Teach for America fundraising has thrived of Fundly. 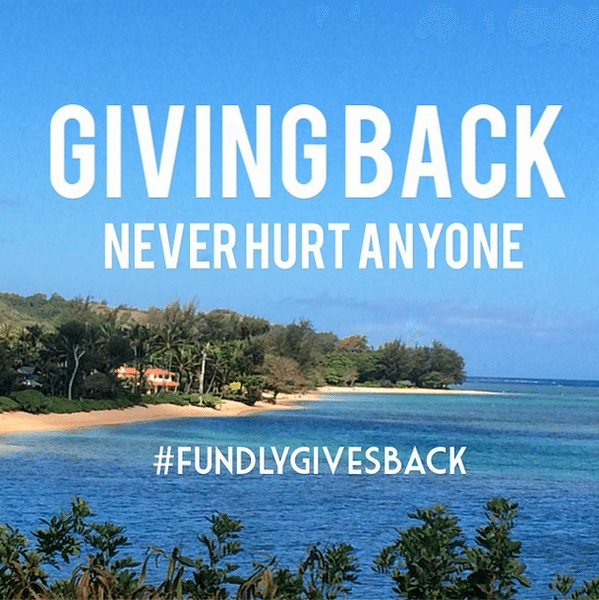 Which other national and international philanthropic groups would benefit on Fundly? For example, how could the Red Cross or Red Crescent engage potential donors? Which other types of partnerships are you and Fundly currently seeking? Dennis Hu: Today people expect a certain level of transparency and they want to know exactly where the money they’re giving is going. We’ve all seen the backlash that has occurred for larger nonprofits that haven’t adapted to those expectations. For these large organizations, Fundly offers a vehicle for them to directly engage with supporters around specific campaigns and personal stories, creating more transparency within their organization (often a more powerful motivator than a broader cause on its own). We’ve worked with some of the largest nonprofits in the country and it’s hugely gratifying to see how successful they’ve been at campaigns of all sizes. We’re focused on expanding our partnerships with other philanthropic groups both nationally and internationally, and part of what’s exciting about that endeavor is that Fundly is something any organization could benefit from running fundraising campaigns on. 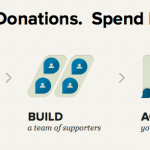 Taking fundraising online vastly expands an organization’s reach. It enables them to leverage their current supporter base and easy reach beyond that circle to their supporters’ friends and friends of friends and so on. That’s a huge leap for nonprofits and a massive gap in what they’re doing today. 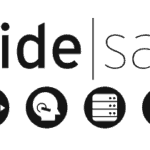 Click here for additional Crowdfund Insider coverage of Fundly’s crowdfunding campaigns. This entry was posted in General News, Investment Platforms and Marketplaces and tagged charity, dave boyce, dennis hu, fundly. Bookmark the permalink.